As Co-owners of Harcourts Achievers we are dedicated to all our clients. We take selling homes seriously, and lead our team of agents by example! Harcourts Achievers has operated in the towns of Rustenburg, Derby and Koster for the past 5 years. Some of our Property Professionals have experience of more than 20 years! Specialising in residential homes, the business has become known for it’s professionalism and high level of service. The agents belonging to Harcourts Achievers are recognized by the public and their competitors alike for their outstanding levels of knowledge and professionalism. Highly trained and well informed, they are easily identifiable by the manner in which they go about their business of achieving what their clients want. Sellers achieve the maximum price that the market will allow, while purchasers have the largest selection of market related stock to view. Aligned to the leading world class Harcourts technological platform, with linked web sites to various property related search engines, Harcourts Achievers provides a truthful one stop shop to viewing property via the internet. So, please know that you are in the hands of dedicated property professionals! As Co-owners of Harcourts Achievers we are dedicated to all our clients. We take selling homes seriously, and lead our team of agents by example! Harcourts Achievers has operated in the towns of Rustenburg, Derby and Koster since 2008. Some of our Property Professionals have experience of more than 20 years! Specialising in residential homes, the business has become known for it’s professionalism and high level of service. The agents belonging to Harcourts Achievers are recognized by the public and their competitors alike for their outstanding levels of knowledge and professionalism. Highly trained and well informed, they are easily identifiable by the manner in which they go about their business of achieving what their clients want. Sellers achieve the maximum price that the market will allow, while purchasers have the largest selection of market related stock to view. Aligned to the leading world class Harcourts technological platform, with linked web sites to various property related search engines, Harcourts Achievers provides a truthful one stop shop to viewing property via the internet. So, please know that you are in the hands of dedicated property professionals! I have always had a passion for people and for properties, even when it was not part of my career, I just loved taking a drive on a sunday afternoon viewing all the show houses. 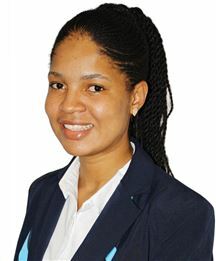 I made the decision to join the property market in 2009, where I joined a small firm in Rustenburg. I was part of the rentals and got my training as such. At the end of 2009 I started as a Rookie Sales Agent and was also certified at the EAAB. I received a certificate for Rookie Agent of the year 2009. In 2010 I did my NQF4 and then made the big decision to join the outstanding team of Harcourts in April of 2011 and this is where my career really boomed. 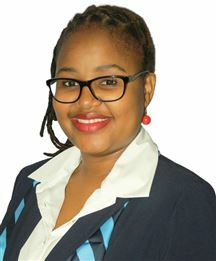 I have, in the time that I am part of the Rustenburg Harcourts branch, been on every single course that can possibly promote my business and those of my Clients. I have also received my gold pin for sales estimate of R10 000 000. In 2012, 2013, 2014, 2015, 2016, 2017 and 2018 I was awarded Listing agent of the year. I have received awards for H1 Champion, Sales Agent of the year/s 2017 and 2018 Principles choice award of 2017. I am dedicated to my clients, both sellers and buyers. Honesty and Integrity is my personal motto and we as a team also live by the Harcourts Values : People first, Doing the right thing, Being courageous, Fun & laughter. I started working as an estate agent in 01/05/2008. 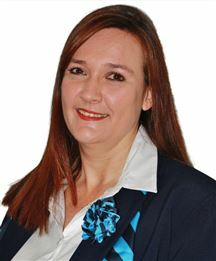 I joint Harcourts Achievers Real Estate in Rustenburg in 11/04/ 2011.I've got six years experience in real estate. I operate in Rustenburg: Tlhabane West, Geelhout Park Extensions, Meriting and Paardekraal. I specialise in residential properties and in my career i become known because of my proffessionalism and high level of service. I attend various training, coarses and is easily identifiable by clients and in the way i do my business and clients. WOW!!! What a way to start. Why Rent if you can Buy!!! Too Good for the Price!! Make this house your home. Jump in forthe best starter. Very neat, just move in!! Bargain Priced to sell ! Almost to good to be true! A Jump Ahead of the Market! Lock up and go family house! Real valve at a Bargain Price! House with lots of potentisl! Don't be a slave to rent! A View To Die For!! I found it! You want it! House for sale in Rustenburg! Perfect house, just for you!!! Spacious house with a flat!!! Cosy home - Call now! Looking for a nice view?